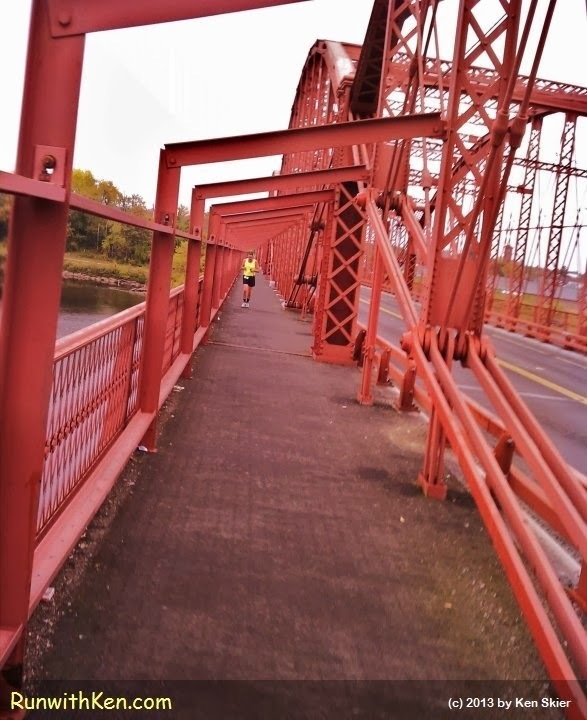 There's something magical about running over a BRIDGE! At the Jennifers 5K in Lowell, MA. Bridges! Large or small: I love them all! Is there anything more special than running over a bridge? You are outside...and yet INSIDE the bridge. You are under the sky...and yet OVER a river! I had just run over this bridge when I took this photo.